A gifted musician and teacher, Joseph Hébert has made a name for himself as a sought-after cellist and educator. From times of loss or sorrow to those of hope and joy, Tom Kendzia and Joseph Hébert have provided a compelling collection of instrumental songs that will warm your heart and comfort your soul. Featuring classic spirituals such as "Amazing Grace," "Swing Low, Sweet Chariot" and "There Is a Balm in Gilead"—and some of today's most inspirational hymns including "Be Not Afraid" and "I Am the Bread of Life"—this collection boasts an incredible range of songs that are ideal for a variety of occasions. The expressive tones of Joseph's cello melt effortlessly into Tom's soaring piano and rich arrangements, featuring just the right touch of strings and other background instruments. Playing off of the familiar melodies and harmonies of each piece, these talented musicians create a wonderful balance of homage and improvisation. Tom and Joseph both felt that there was a lack of quiet, reflective music for people in need. Whether it be illness, hardship, or mourning the passing of a loved one, their first collaboration helps to fill that void with beautiful instrumental interpretations of familiar songs that offer strength and peace. Cellist, choral director, educator and pastoral music minister, Joseph Hébert performs in the San Francisco area and has toured in Japan, Africa and Europe as well as throughout the United States. He has shared the concert stage and recording studio with hundreds of artists from both the classical and popular music worlds. Along with studying music at California State University East Bay, Stanford University and the University of California at Berkeley, Joseph also studied graduate theology in Pastoral Ministry at Holy Names University in California. 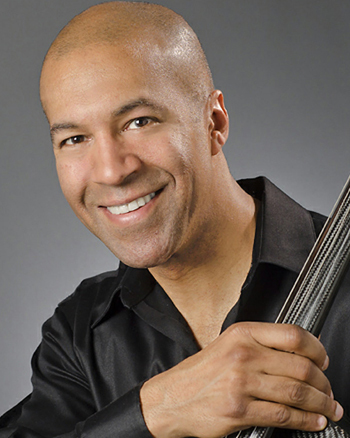 Joseph’s solo and improvisational cello talents are featured on hundreds of CD projects including Grammy award-winning Supernatural by Carlos Santana. His most recent cello CDs are On Eagle's Wings and Sanctuary. As a gifted educator, Mr. Hébert has given lectures and clinics to thousands of elementary through college age students locally and nationally. Currently Joseph Hébert is the director of music ministry at Corpus Christi Church in Piedmont.